You can take nothing for granted in marathons. In the early hours of last Sunday morning, I saw Callum Hawkins seemingly on his way to an easy Commonwealth Games win. While others were struggling, he looked cool, calm and collected and was well over two minutes clear. However, just before 25 miles, he weaved, fell and failed to finish. 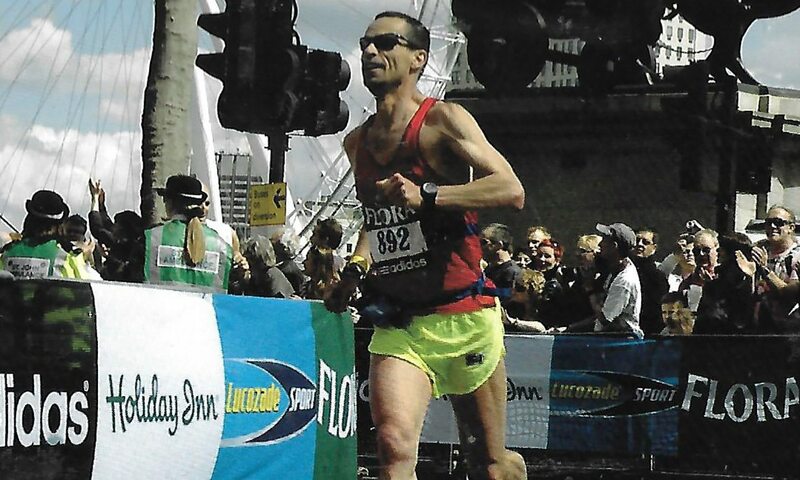 In the Brighton Marathon, Dan Nash was minutes clear past 20 miles and while his slowing was not as dramatic as Hawkins’, he slowed and was caught by a strong-running Stuart Hawkes after 40km. Hopefully, there won’t be any dramas in this year’s Virgin Money London Marathon and in all three cases, if the leader had gone slightly slower in the early stages, they probably would have won. The more extreme the weather, the more necessary it is to respect the conditions and be sensible, not brave or foolish. This year’s marathon forecast has slightly changed over the week but it’s not great. As of Saturday afternoon, a thunderstorm is now expected briefly around midnight but it is going to be a warm night with a sunny 19C temperature at the 10am mass start with potentially more cloud from midday but the temperature climbing to 22-23C in the afternoon. It is also quite windy which is going to add to the dehydration effect. We’ve already had the warmest April day for 70 years and it is expected to be the warmest London Marathon on record. On the plus side, it is not set to be quite as warm as it was midweek and as there has been some acclimatising it won’t be as traumatic for the runners had it suddenly just got hot at the weekend. However, it is perhaps frustrating for all those who had their half-marathon cancelled in the snow last month and the knowledge that Monday’s temperature at race start time is about 12-13C and would have risen to 16C. I’m fairly sure the first London Marathon started at 8.30am, was in March and on the day the clocks went forward, so it was effectively a 7.30am start and in the age of global warming, perhaps the organisers need to rethink having a 10am start time for the masses. Personally I’m not a great fan of running in hot weather which is why I now never do an autumn one because I don’t want to train long during the summer. However, I have run a few in hot weather – the 1977 Boston for example when it was close to 80C and was actually helped by near collapsing on a training run in even warmer conditions a few days earlier. Overheating and dehydration are the two main factors to worry about and our top tips article on running in the heat published a few days ago covers the basics. Drink plentifully on Saturday night and overnight (not alcohol!) and be aware that the relatively high temperatures overnight will have an adverse effect, especially if you are sleeping in a hotel room. I always like to wear light kit (in weight and colour to reflect) – no t-shirts and I suggest not long shorts. Fancy dress costumes should probably be discarded! Stay in the shade before the race as long as you can – keep sipping regularly pre race and take on water regularly during the event – but not too much. Pour water over your head and neck if you need to. Some like a hat – it can actually increase head temperatures but can protect from the sun and pouring water over it will have a longer cooling effect than just pouring it on your head. Most people will have to make adjustments – maybe not the elite who have probably trained in hot temperatures in the winter months and for whom it’s all over not long after midday. But if you are running at 1pm, you might find you are going to have to run 10-15 minutes slower. The faster you go in the early miles, the higher your temperature will be and the more risk you have of overheating in the latter stages. Pacing is hugely important even in the cool, but in higher temperatures it is critical. Try and evaluate how you feel regularly. If you do fall behind your original time targets, don’t fight it, ease back and play safe – there will be another race. If you do feel the sun and heat has got you, slow down to a walk and make a reassessment. Personally, I do have a target which I was 90% confident of a week ago, but the percentage has rather plummeted as the week has gone on. However, if I’m going to get top of this list – www.arrs.net/TR_SSpan.htm – then I can only do it with a sub-3:00, so that will be the target. But if I know I’m not going to achieve it, I will have to slow and then just try and come as high as I can in my new age group, or just get to the finish safely to attempt it another time. And for some that may be a better reason for keeping going at a sensible pace than just running for a time.